Tha Mairead NicIllinnein anns a' chathair an-diugh a' toirt thugaibh taghadh ciùil. mor@bbc.co.uk. Join Mairead MacLennan for a great choice of traditional Gaelic music. Tha Mairead NicIllinnein anns a' chathair an-diugh, a' toirt thugaibh taghadh ciùil agus beachdan air cuspairean an latha. Cluinnear iomadh seòrsa òran Gàidhlig, ceòl na pìoba agus cuideachd ceòl a' bhogsa. Cuiribh fios thugainn dè tha dol agaibhse agus ur naidheachdan le bhith fàgail teachdaireachd air ar duilleag 'facebook' no post-dealain gu mor@bbc.co.uk no cuiribh fòn an asgaidh gu 08000 96 7050. Join Mairead MacLennan for a great choice of traditional Gaelic music. In this edition, you will hear a great selection of Gaelic songs, pipe music and also some accordion music. 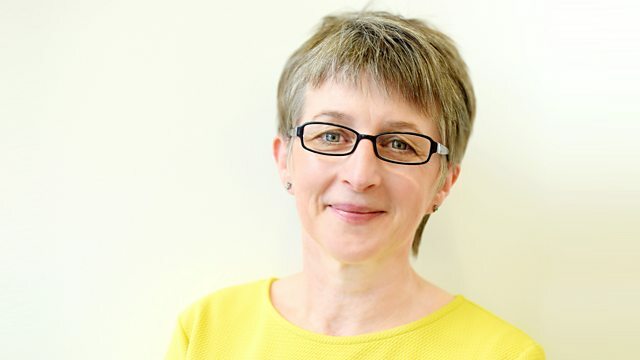 Enjoy the music and Mairead's company and please get in touch with your news by leaving a message on our facebook page, send an e-mail to mor@bbc.co.uk or freephone the studio on 08000 96 70 50. At The End Of A Perfect Day. Scottish Tradition 26 Cruinneachadh Chaluim. ISLES OF MY LOVE (EILEANAN MO GHAOIL). Bho M' Chridhe (From My Heart). SCOTTISH TRADITION 25 - BU CHAOIN LEAM BHITH 'N UIBHIST.